A service mesh provides networking, traffic management, security, and observability to container-based applications and microservices. 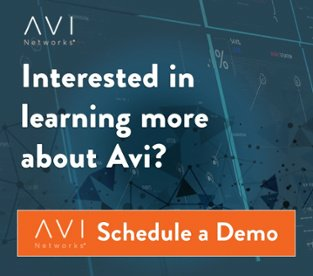 And we at Avi Networks believe it is the future of application delivery with the potential to reshape the nearly $12B market for application services (load balancing, security, and monitoring). By integrating Avi Networks and Istio, we are able to deliver enhanced, full-featured ingress and gateway services to Istio to facilitate secure connectivity for Kubernetes applications across multiple clusters, regions, or clouds. These include L4-L7 traffic management, security including WAF, and observability. Here is a 2 minute overview of the integration. The other benefit to this integration with Istio is that we will be able to extend service mesh features beyond containers to applications running on bare metal or virtual machines. Avi’s integration with Istio enables customers to deploy a single service mesh across all of their applications—traditional and containerized—both on-prem and in public clouds. Our CTO and Co-Founder, Ranga Rajagopalan, provides a walkthrough for the Universal Service Mesh. The Universal Service Mesh will be available in multiple phases starting Q1 2019, with phase one including Istio integrated ingress and gateway services for Kubernetes. The Universal Service Mesh can be deployed as SaaS or customer managed. 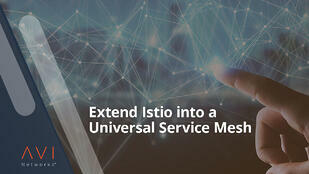 Extend Istio into a Universal Service Mesh with Avi Networks. You can also learn more by visiting the Universal Service Mesh product page.